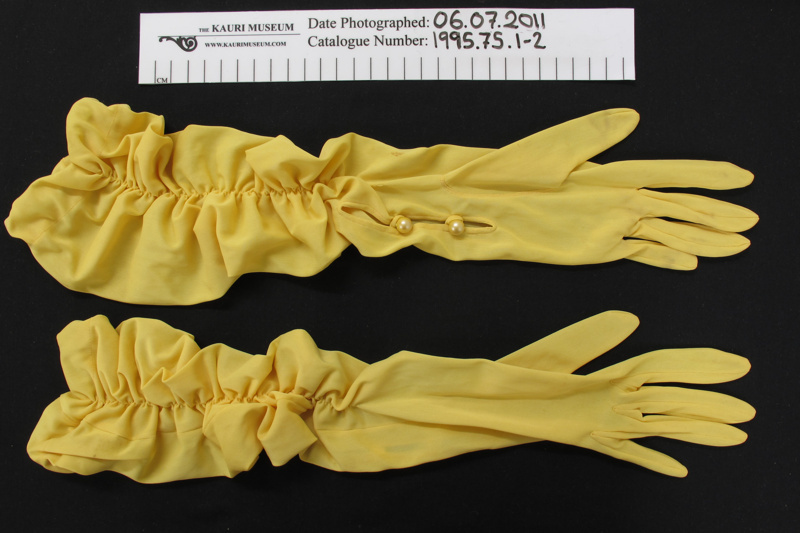 Pair of yellow nylon gloves c. late 1950s-early 60s. Shirring elastic from hem to wrist on both sides, also elastic through the hem. At wrist on inside is a 10cm opening with yellow pearl buttons to close. Label reads, 'Pinkham Gloves Made in England. Ladder Proof Nylon 7 1/2 AN'.